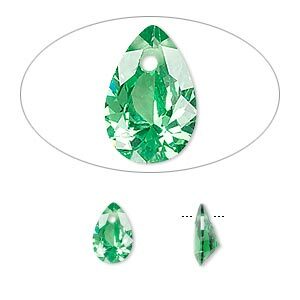 Drop, cubic zirconia, emerald green, 18x7mm hand-faceted teardrop, Mohs hardness 8-1/2. Sold per pkg of 2. Item Number: H20-1602FB Have a question about this item? 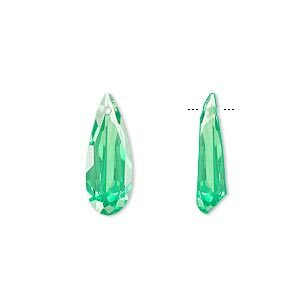 Drop, cubic zirconia, emerald green, 9x6mm hand-faceted teardrop, Mohs hardness 8-1/2. Sold per pkg of 2. 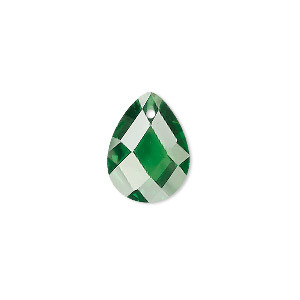 Drop, cubic zirconia, emerald green, 16x12mm hand-faceted teardrop, Mohs hardness 8-1/2. Sold per pkg of 2. 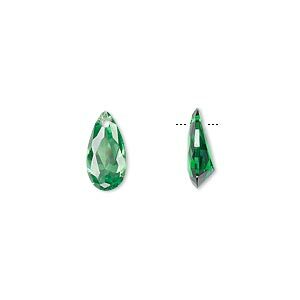 Drop, cubic zirconia, emerald green, 12x6mm hand-faceted teardrop, Mohs hardness 8-1/2. Sold per pkg of 2. 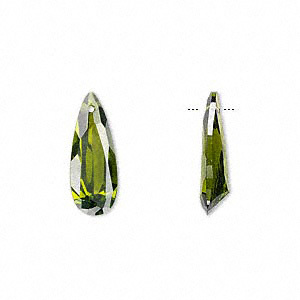 Drop, cubic zirconia, peridot green, 18x7mm hand-faceted teardrop, Mohs hardness 8-1/2. Sold per pkg of 2. 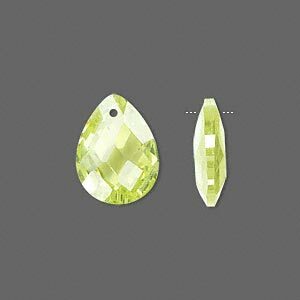 Drop, cubic zirconia, olive green, 18x7mm hand-faceted teardrop, Mohs hardness 8-1/2. Sold per pkg of 2. 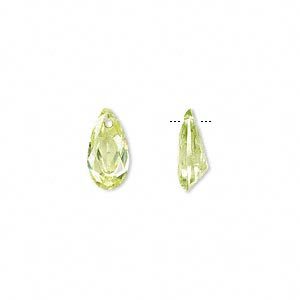 Drop, cubic zirconia, peridot green, 16x12mm hand-faceted teardrop, Mohs hardness 8-1/2. Sold per pkg of 2. 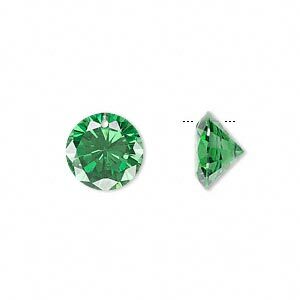 Drop, cubic zirconia, emerald green, 6mm hand-faceted round, Mohs hardness 8-1/2. Sold per pkg of 2. 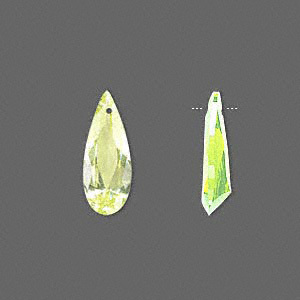 Drop, cubic zirconia, peridot green, 12x6mm hand-faceted teardrop, Mohs hardness 8-1/2. Sold per pkg of 2. 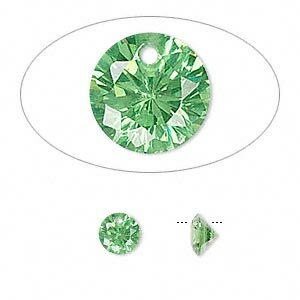 Drop, cubic zirconia, emerald green, 12mm hand-faceted round, Mohs hardness 8-1/2. Sold per pkg of 2. 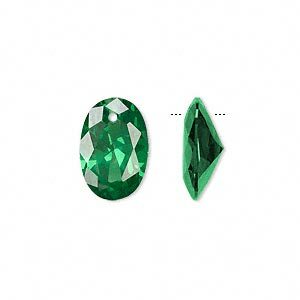 Drop, cubic zirconia, emerald green, 15x10mm hand-faceted oval, Mohs hardness 8-1/2. Sold per pkg of 2.